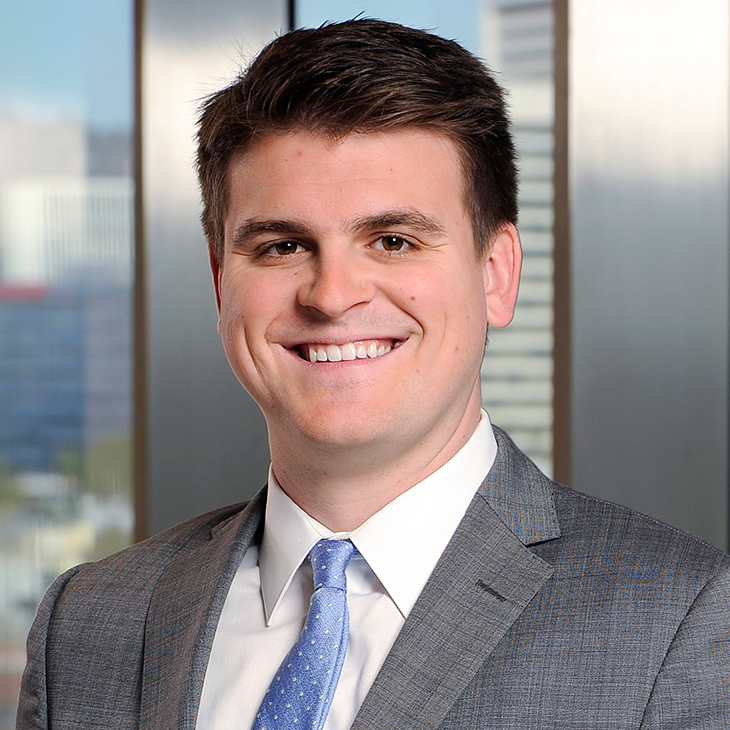 Jacob Carlson is a senior manager for Manatt's digital and technology consulting practice, which offers innovative full-service business consulting and legal services, as well as venture capital. He provides media, digital media, technology and emerging growth companies with in-depth strategic and business analysis, project management and business development support. He is also the investment manager for the Manatt Venture Fund, the firm’s corporate venture capital fund. Before joining Manatt, Jacob was a media and entertainment consulting manager for Cognizant Business Consulting, focusing on major studio and broadcasting clients. He provided strategic advice on projects across the industry, such as OTT strategy, data analytics, tailored customer segmentation, predictive modeling and Agile software development. Prior to his career in media and entertainment consulting, Jacob received his M.B.A. from USC’s Marshall School of Business, where he focused in entrepreneurship and obtained a Business of Entertainment Certificate from the renowned School of Cinematic Arts. He attended Boston College as an undergraduate before becoming a producer in CG animation, working on multiple international feature film, television and commercial projects. He is also a member of the Producer’s Guild of America. Panelist, “The Rise of Esports,” NY Media Festival, September 26, 2017. Panelist, “The Opportunity of Esports for Brands, Agencies and Marketers,” LA Games Conference, May 10, 2017. Panelist, “Financing the Imagination: Funding and Business Development in AR, VR and Immersion—From VCs to Kickstarter and Corporate Investments,” Digital Hollywood, October 18, 2016. Panelist, “Innovating in VR-AR-Immersive Production—The Amazing Journey of Imagination, Gear and Innovation,” Digital Hollywood, May 5, 2016. Panelist, “The Future of Influencer Marketing,” Digital Entertainment World, February 11, 2016. Panelist, “Monetizing the YouTube Economy,” NY Media Festival, October 7, 2015. Quoted, “Content Firm Draws Suitors,” Los Angeles Business Journal, November 14, 2016. Author, “What This Year’s M&A Activity Tells Us About Media and Entertainment,” TechCrunch, July 3, 2016. Quoted, “More To Say,” Los Angeles Business Journal, May 15, 2016. Author, “How to Spot Investment Opportunities in Digital Media,” VideoInk, January 4, 2016. Is TV Achieving Digital Transformation Through M&A and Investment? Over the past couple of years, social influencer marketing has received a lot of attention and dollars. Celebrities have been used to promote companies’ brands and products for years.